Serving Portland, Lewiston and Bangor, Hardy, Wolf & Downing represent victims of motorcycle crash-related injuries, ensuring that liable parties are held accountable for their actions. 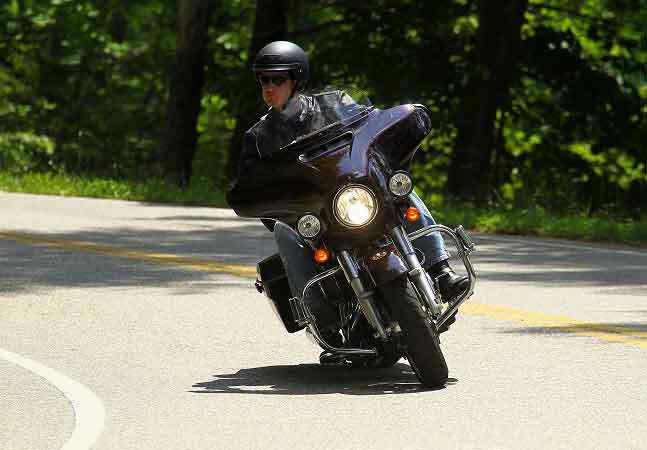 As leading Maine motorcycle accident lawyers who also appreciate this recreational pastime ourselves, we understand the physical, emotional and financial ramifications endured when negligence is involved. Bikers are more prone to life-threatening or even fatal injuries in the event of a collision, including broken bones, spinal cord trauma, loss of a limb and traumatic brain injury. Helmets are essential safety gear and should be worn by all motorcyclists, as statistics show that helmet use is the single most critical factor in preventing head or neck injuries in a motorcycle accident. The type of helmet worn may also play a role in your survival, caution federal regulators, who are attempting to stop the sale of “novelty” helmets in the United States due to their poor construction. This move to protect motorcyclists was spearheaded by the U.S. Department of Transportation’s National Highway Traffic Safety Administration, which is very concerned about a “disproportionally high” rate of motorcyclist deaths occurring across the country. “Our nation lost 4,668 motorcyclists in 2013 alone and protective helmets could have saved many of those lives,” said U.S. Transportation Secretary Anthony Foxx. So-called “novelty” helmets are generally constructed with flimsy materials, may be considered more fashionable and often do not cover the rider’s entire head. They are also cheaper, making them an attractive option for many motorcyclists. However, DOT officials say that novelty helmets are not compliant with crash standards, citing a study in which 56 percent of bikers using novelty helmets suffered serious head injuries compared to just 19 percent of riders who used standard helmets. These low-profile helmets typically have attached disclaimers cautioning they are not intended for highway use, yet motorcyclists often wear them on high-speed interstates, where the bikers are more prone to accident and serious injury, say regulators. Though novelty helmets may be more stylish and economical than their DOT-certified counterparts, their unsubstantial design and construction may mean the difference between life and death. The federal proposal would define minimum performance criteria for approved helmets while enabling law enforcement agencies to identify those that do not meet safety regulations. Here in Maine, this new safety regulation would affect bikers under the age of 18, who are required to wear a helmet at all times, as well as adult motorcyclists who sensibly opt to use this protective gear. Leveraging more than 40 years of combined litigation experience, the Maine accident attorneys at Hardy, Wolf & Downing are available to answer questions in the wake of a motorcycle accident. Our legal team will immediately begin investigations into your case to uncover possible sources of negligence. If we determine that you have a viable claim for damages, we will advise you on the best legal strategies for pursuing a personal injury lawsuit. Please contact our offices at 1-800-INJURED to schedule a free case review with no obligation to proceed.